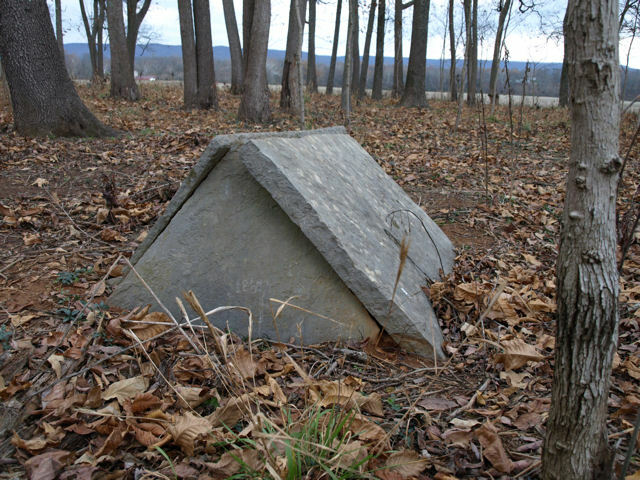 Located in the Highland Rim and western Cumberland Plateau area of Tennessee is a folk culture type of grave covering called a tent or comb grave. 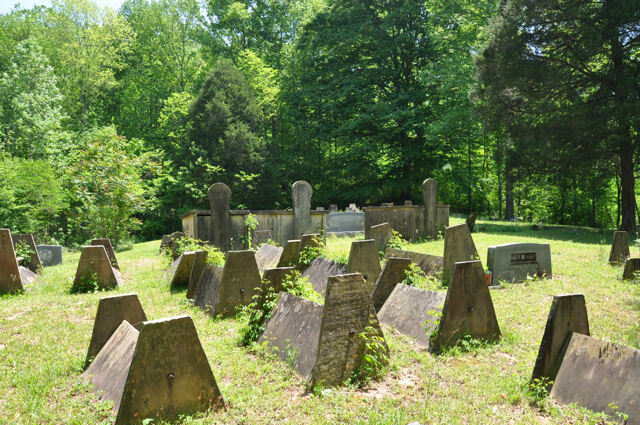 There are hundreds of these structures from near Albany , KY and across Tennessee mainly in the counties of Fentress, Overton, Putnam, White, Warren , Van Buren and continuing into Coffee County . They are also found in limited numbers in northern Alabama and northern Arkansas . The principal material is sandstone from the Hartselle Formation which occurs in outcroppings in the area. Other materials used to a lesser degree are limestone, tin or metal, concrete, and on rare occasions marble. Variations occur in the construction of the tents over the area of use. 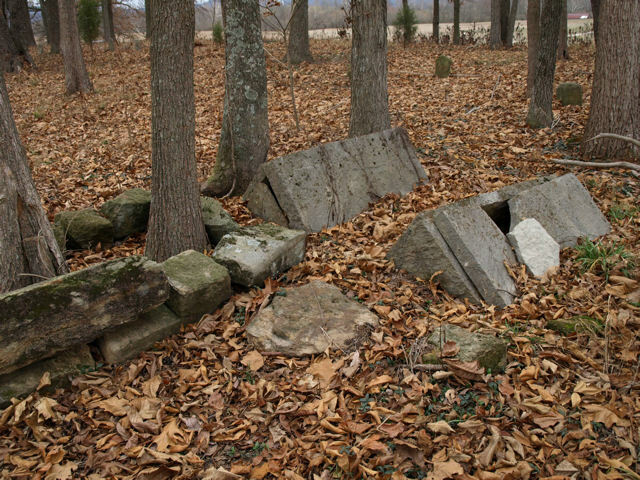 In Overton County the sides are often supported by an iron rod whereas in the White County area they are supported by a triangular end section of stone inserted underneath. While many are not inscribed others may have a separate grave marker or inscription on side of the slab rock. Reasons for their construction are often given as protection from animals such as cattle walking on the graves or to protect the grave from the weather. 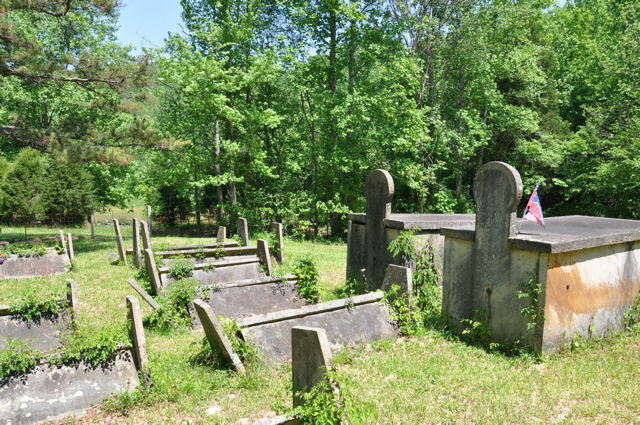 The date of the tent graves generally is between the middle 1800’s to the mid 1900’s.